So I’ve been practicing interviewing for the next recruiting cycle where most of it is LeetCode practice of data structures and algorithms questions. For interviews, Python and Java are two common languages to use. Python is nice because it very concise and has a lot of useful syntactic sugar like slicing or easy to use map and list data structure and Java is used because it is very flexible and well object-oriented abstracted that fits well with building and teaching data structures. Cracking the Coding Interview uses Java for that reason. Go is a good blend of the benefits of Python and Java and includes many more tiny perks that make it nice to interview in. Additionally, it was created to be as simple as possible and easy and great to learn! Go was designed to be the love child of Python and C. In interviewing, simplicity matters, you often only have 45 to 60 minutes to think, explain, and write an algorithm to solve a problem and that is why Python works so well for it. 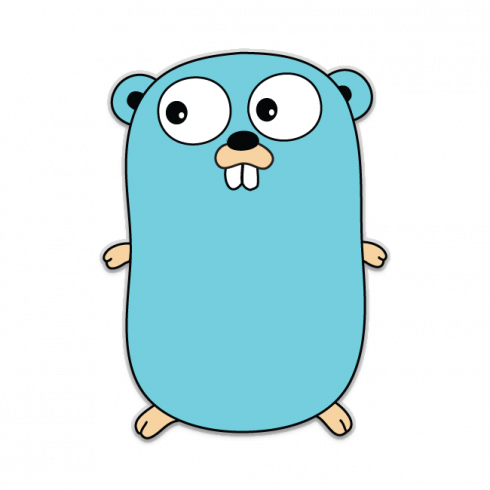 Go gives you the simplicity and ease of Python while being able to have the finer grain control of C or Java without getting boggle down in unimportant implementation or wrapper details. // Go also has multiple returns, but LeetCode requested this format to stay consistent with other languages. We’ve shown above how you could make a tree data structure. A linked list would be really similar. Having pointers in trees and linked lists give you so much more finer-grain control in manipulating these data structures over the pass-by-values and hidden pointers in Python and Java. And it’s way easier to work with than C.
This makes it extremely easy to handle when index exists (ok is true) and when index doesn’t. Ok, ignoring the Python 1 line-function-er, it’s pretty clean! Here’s some of the magic explained. sumSlice is a function that takes a slice (type int) and returns an int. tot is type inferred to be an int so we don’t have to write it. range slice is like Python’s enumerate(slice), the type is inferred to be int for _ (ignore index) and int for val. All this magic means you have all the type information you need while still being pretty concise. We’ve mentioned before how it can give finer control in manipulating pointer heavy data structures. Additionally, structs are now clearer in how memory is managed and can be more efficiently done when you want to change a struct or don’t want to fully copy a struct. It’s impressive in an interview to have fast and efficient memory management. So this is an interesting design choice for Go. Coming from the Java 8 school of generics, generics are my bread and butter to beautiful abstraction (and over-verbose abstraction sometimes). Regardless of what you think of generics, removing them do make the language simpler. And for interviewing, generics usually don’t matter, you are usually manipulating one type such as ints, or strings where it is cleaner and easier to write code without generics. Sometimes over-abstraction isn’t necessary, especially in interviews. Most of what was stated above were benefits for classic data structures and algorithm interviews. There are other benefits too! This honestly was what gave me the idea to do interviews in Go. Interviewers see so many people, you wonder how do you stand out? The answer: by using Go! If you’re equal to hundreds of other developers, interviewers probably aren’t going to remember the people that used Python or Java, but they might remember that one weirdo (genius) that used beautiful, succinct Golang. Maybe after this article, everybody would use this and the advantage will be nullified and I’ll have to do something even more clever, like use OCaml or F#. I shall call this unending cycle the Efficient Interviewing Language Hypothesis. So what separates the 1x interviewees with the 10x interviewees? The answer is they can go beyond solving the algorithm questions and consider other hardware and actual implementation cases to solve the problem more efficiently. For example concurrency, caches, limited memory, multiple machines, etc. Well it turns out Go was designed with concurrency in mind. Go was designed as a server/systems language, where being able to maximize the CPU’s performance is a huge goal. If you really want to impress in interviews, you could whip up some gorountines and make your algorithm faster! 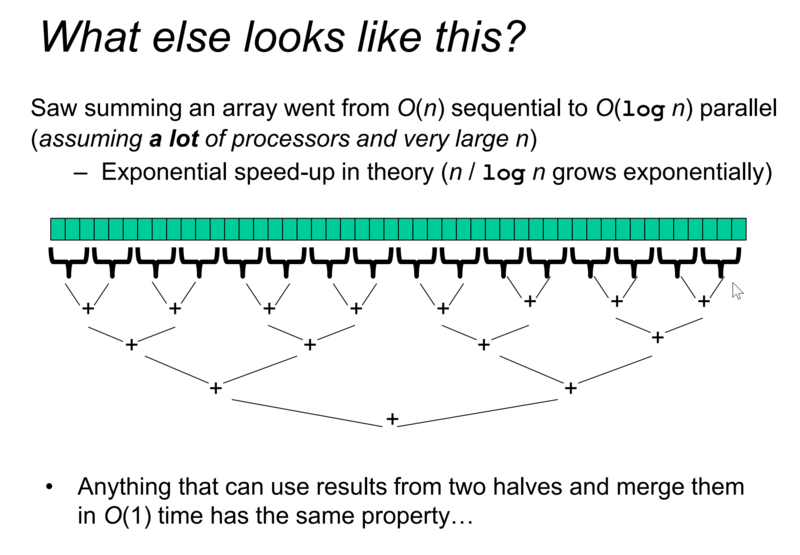 Other examples you could try are parallel sums and parallel sorts for some fast theoretical asymptotic speedups. Interviewers are also impressed with synchronization, as it often leads to many hard bugs and is hard to do right. Go makes it really easy to have safe code, so if you can demonstrate your mutex abilities or make a worker pool, you’ll get some real brownie points right there. Another type of interview question is the system design question, which might ask you how you would organize a system to solve some sort of problem efficiently. Well Go is a server/systems language and makes it really easy to simply describe your architecture and make it efficient. For example, it’s easy to have HTTP endpoints and build an API in Go. If you have to have high performance, goroutines and synchronization are your friend. Go is used a lot in production for systems too, the most famous being Kubernetes. This point is a big help from practicing. Sometimes, I’m stuck and don’t know the answer. Luckily there’s a lot of resources, but most are in Java or Python. Go is pretty similar so it isn’t too hard to rewrite in Go, but having a different language makes you think about what you are rewriting instead of just mindlessly copying. That thinking is key to getting better. Hey, I like Go, it’s an awesome language. You know, Google (hint hint) or somebody, you could give me a job and let me keep using this awesome language. Still need convincing? The best way to be convinced is to try it out! Here are some LeetCode examples. Given a list (slice) nums, what are the indices of values that sum up to target? Return nil if none exist. This is the defacto interview question so it’s good you can glaze over how amazing Go is at it. Given a sorted linked list, delete all duplicates such that each element appear only once. A pretty simple pointer solution. // two pointers head, and next node. algorithm is drop next node if it's equal to the first ptr's value. // traverse ptr1, since it's sorted if the next node is different, there are no more similar nodes. Given an array of integers nums sorted in ascending order, find the starting and ending position of a given target value. If the target is not found in the array, return [-1, -1]. Solve with two binary searches for starting and ending positions. Create a LRU Cache with O(1) get and set. Solution is to use a hash map to a linked list. It’s a magical world, Hobbes, ol’ buddy…Let’s go exploring!